Professional Portraits rendered in Graphite (black and white) or Colored Pencil, and sculptures by Award Winning artist Bridgette Lewis! 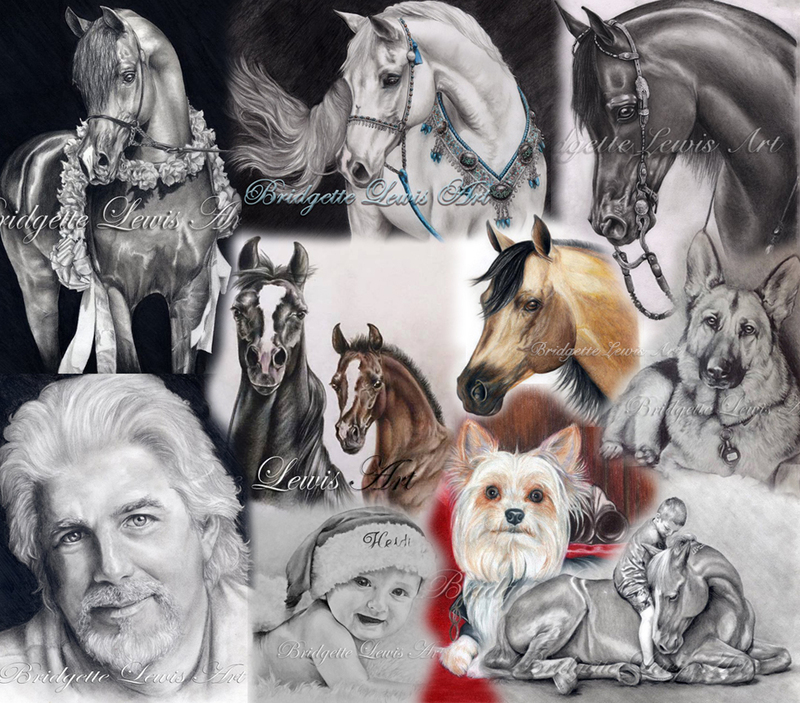 Specializing in portraits of people & animals of all kinds, these works of art capture great memories and emotions and are treasures. These also make wonderful heartfelt gifts for any occasion. Contact us to commission your own masterpiece today! Award winning portrait and sculpture artist, including receiving Best of Show and People's choice at many events.